The beauty of a great horned owl has a wound at the right elbow. Bones are not involved, but not sure of what soft tissue damage there may be. 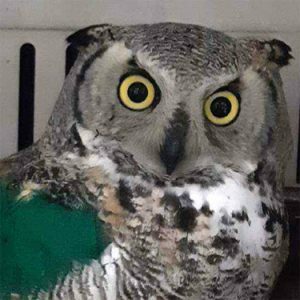 Thanks to Des Moines Animal Control for rescuing and taking to Iowa Bird Rehabilitation for overnight care.